> How can rural development projects be optimised? How can rural development projects be optimised? Three recent publications present methods for implementing projects in a rural setting. Although these methods cannot solve all problems, they nevertheless contain valuable suggestions with regard to specific issues. To develop new solutions that contribute to improving the local population’s living conditions. To encourage the participants to experiment. Possible results include the introduction of new crops and agricultural techniques, as well as new forms of organisation. Based on practical experience, a new handbook provides a down-to-earth instruction on how to implement PID. The process is subdivided into manageable modules covering all necessary steps, from the introduction of PID to planning and implementation of experiments to evaluation and dissipation of results. This handbook offers a comprehensive basis that will be especially useful to all those who are planning to introduce PID in a project. and thirdly, producers are animated to join forces for marketing their products. RMA focuses on demand and thereby tries to counteract the frequently onesided focus of development projects on production. A recently published toolkit contains methods, tools, and case studies from Kyrgyzstan and Vietnam which illustrate the fact that transmitting the method of RMA and a basic understanding of markets to local project workers is not an easy task, and that great attention must also be paid to the implementation of RMA results. Going Public is the name of a new method for extension work with farmers in a rural setting. It makes use of public spaces, such as markets or bus terminals, for spontaneous conversations with a greater number of farmers. Extension workers have repeatedly and successfully applied this method in Bolivia and in Bangladesh. Using illustrative material, they informed farmers about the treatment of diseases in potatoes and peaches, as well as about a new method of drying rice. Farmers usually showed great interest and actively participated in the demonstrations, while at the same time providing the extension workers with valuable information. In their familiar market surroundings the farmers were less inhibited to share their experience than in other extension work situations. Going Public makes it possible to reach a great number of people at a low cost. However, not all agricultural information can be transmitted in this way, and the method requires a great talent for communication and improvisation on the part of the extension worker. > Finding new things and ways that work. 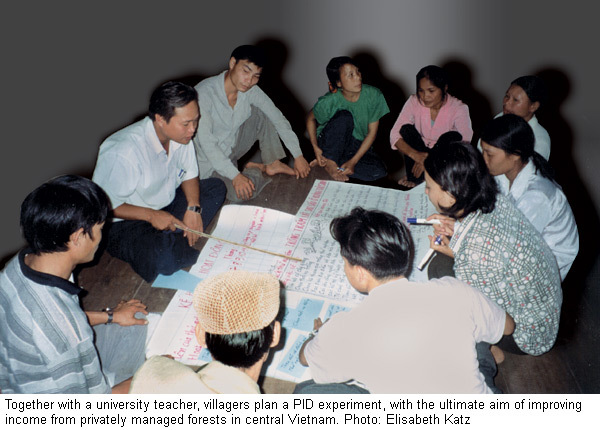 A Manual for Introducing Participatory Innovation Development (PID). U. Scheuermeier, E. Katz, S. Heiland. Swiss Center for Agricultural Extension (LBL), Lindau, March 2004. 244 p.
and Learning in International Cooperation – Helvetas Publications, No.3. S. Joss, H. Schaltenbrand, P. Schmidt. Helvetas, 2004, 49 p.
statement is the heading of the first chapter of a book entitled Lessons Learned on Trade and Sustainable Development. The book contains a synthesis drawn from six years of research by the Trade Knowledge Network (TKN), and represents a useful factbook both for interested laypersons and for people who already feel at home in the debate on trade and sustainability. Between 1998 and 2004, research institutions in the eight TKN member countries – Argentina, Bangladesh, Chile, China, Costa Rica, Pakistan, South Africa, and Vietnam – conducted comprehensive national studies, complemented by topical research at the international level. They come to the conclusion that trade and freedom of trade are good for the natural and social environment in some cases and bad in others, and that very often they are both good and bad at the same time. A particular opportunity is seen in the ”green” export market. Export of ecological products (aquaculture, forest products, agricultural products) and ecotourism sometimes even lead to win-win solutions, since environmental concerns are taken into account, while at the same time generating economic growth and opening new markets. An important prerequisite for this to happen are strong national and international environmental and trade institutions that are networked among each other, thus providing a basis for concerted development and monitoring of standards. 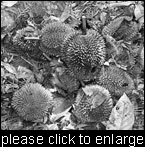 D. Macqueen’s article compares current international forestry negotiations with the preparation and subsequent launch in 2000 of the Earth Charter in the Hague. The author discusses present negotiations (IPF/IFF, UNFF) which he considers as individualistic and materialistic, and long-term approaches more in line with ethical principles reflecting collective community aspirations. His interesting and courageous argument calls for a ”silent” revolution, which might even influence our notions of national sovereignty by introducing a new awareness of global interdependence. His arguments appear to be theoretical, but the author is wise enough to admit that he only wishes to prove the legitimacy of ”forest ethics” as a legitimate object of investigation and of a constructive future debate. His arguments are worthy of consideration: he questions the capacity of market mechanisms to endow forests with a similar value as other earth uses. He therefore proposes to change our educational and value systems instead of opting for short-term political solutions. 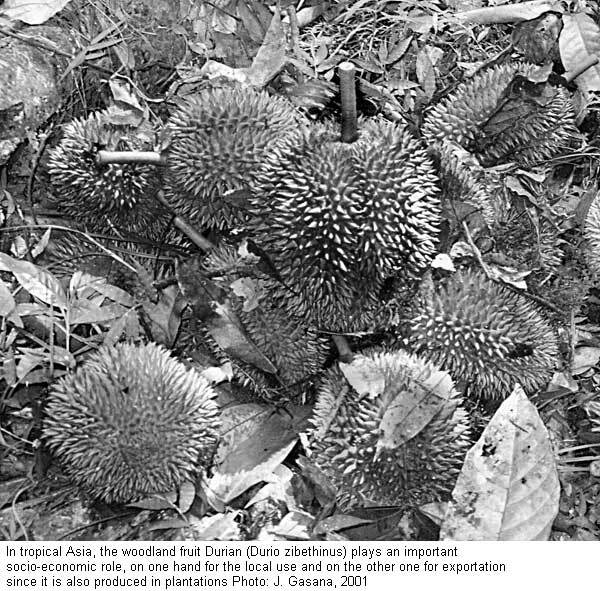 Source: Forest Ethics: the role of ethical dialogue in the fate of the forests. Duncan Macqueen. Edinburgh, IIED, 2004. 20 p.
Models reveal that income from agricultural activities in India will diminish by 9 – 25% if the global temperature rises by 2 – 3.5°C. The poorest population groups are most affected by risks related to change climate: Their vulnerability is high, while their capacity to cope with hazards and recover from them is low. In a set of key sheets on climate change and poverty, the DFID recommends that climate risks be integrated as a transversal topic in all planning of development activities. Particular emphasis is placed on the importance of measures at the national level. Three practical steps can help to modify national development policies in order to enhance resilience. Step one: Stop and think about possible effects of climate change on poverty reduction strategies. Step two: Give first priority to those issues in poverty reduction strategies that are concerned by climate risks. Step three: Make targeted modifications in national strategies that are directly affected by the climate. The 13 key sheets are designed for use by the staff of the DFID and its partners. The complex issue is subdivided into clear thematic aspects such as ”The impact of climate change on the health of the poor”, ”Taking initial steps towards adaptation”, or ”The right information can help the poor to cope”. A concise explanation of causal connections is given for each theme, along with concrete recommendations on measures to be taken and frame conditions to be created at the national level. Source: Key Sheets on Climate Change and Poverty, DFID 2004. Due to population growth the amount of available food per person has diminished since 1990 despite an increase in production. Commissioned by the UN Secretary-General, researchers from the InterAcademy Council have investigated how science and technology can contribute to improving the situation. Most striking among the short- and long-term measures suggested is the somewhat problematic demand to focus on four multiple production systems instead of the seventeen traditional systems currently in use. The group of researchers hopes that this would lead to a massive increase in productivity and thus raise food security in Africa, in analogy to the Green Revolution in Asia. Further suggestions include the development of better adapted technologies by more strongly integrating local knowledge, local production of as much agricultural equipment as possible, and more adequate application of conventional and biotechnological cultivation practices according to locations. Modern information and communication technology should be applied at all levels. Furthermore, a closer coordination of agriculture with related sectors such as education and health is referred to as promising. However, according to the authors, the greatest challenge consists in making agricultural research more client- and result-oriented by more strongly involving farmers. Source: Realizing the Promise and Potential of African Agriculture. InterAcademy Council (IAC) Report. 2004. 266 p.
Due to their biodiversity, forests generate a range of products and services that are of economic, social or cultural value to human beings (see diagram). Natural resource management provisions should ensure the creation and maintenance of these goods and services in the long term. However, unsustainable management practices of forests do not only generate short-term benefits but also considerable costs for society. Payment by the beneficiaries of the services would enable us to internalise external costs and promote sustainable management. A two-day ”Forest and water” conference on the multifunctionality of forests, on interactions between forests and water, and sustainable resource management, was the basis of this brochure which presents an in-depth analysis of the information exchanged among conference participants and the public on multifunctionality, community and institutional management, and integrated natural resource management. The brochure focuses on the promising though controversial issue of payments for environmental services. This was the aim of a regional sustainable development program implemented by the Mexican environmental ministry between 1996 and 2000. Its objectives targeted rural poverty alleviation, the promotion of social wellbeing and a cutdown on environmental deterioration. Of dreams and shadows relates the experiences of this program, and shows its evaluation by means of an analytic grid of participatory policies. To what extent can a governmental institution set up and manage participatory regional management policies? This requires fundamental behavioural changes within the governmental administration system; these are difficult to bring about during the six years constituting the usual presidential term. Questions related to time and to the necessary interactions between an analysis, an understanding and the transformation of governmental institutions are seen as necessary stages of a learning organisation. This approach is interesting in that it accounts for interactions between players in such a program, for the social networks in which they participate, and for communication between them. All these aspects are necessary to instill a climate of confidence towards the local administrative authorities in charge of participatory sustainable development policies. Source: Of Dreams and Shadows: seeking change for the institutionalisation of participation for natural resource management. Jutta Blauert and Kristina Dietz. Brighton, IDS, 2004. 60 p.
A program conducted worldwide by CIFOR comparing non-timber forest products gave rise to 3 publications, one for each continent: Asia, Africa, Latin America. Especially in Africa this study enabled researchers to escape their isolation and view their work in a global perspective. Generally speaking, the interest for NTFP has grown, due to the part they play in poor rural regions (food, income). In Africa, the sustainability of these resources depends to a large extent on access and property rights, as well as on dynamic and diversified local economies. The great diversity of NTFP, and their production in highly variable environmental and socio-ecological contexts makes this a complicated issue. For example, the plant Harpagophytum or ”devil’s claw foot” from the Kalahari region has excellent anti-inflammatory properties for the treatment of arthritis and rheumatism. The study shows that if the above-mentioned conditions were accounted for, and local communities were better organised, this plant could be harvested in the long term, providing important benefits without entailing over-exploitation. Vol. 3: Latin America (publication foreseen). Soil fertility degradation remains one of the chief problems for food production in sub-Saharan Africa. Taking a holistic approach that increasingly involves socioeconomic aspects in addition to physical aspects, researchers from the African Network for Soil Biology and Fertility are jointly searching for solutions. This recently published book contains a collection of essays on integrated soil fertility management, soil biological diversity, but also on questions related to participatory research and implementation of findings. Along with numerous descriptions of field experiments there are also contributions that ponder the role and purpose of research in general. For example, one contributor points out how difficult it is, particularly in the African context, to take into account the socio-economic view. If research is to produce implementationoriented results, scientists will have to broaden their horizons, and farmers will have to be more closely involved. Experience shows that soil fertility is strongly influenced by social and economic conditions. Often, farmers are unable to cultivate their land the way they would actually like to due to various constraints. Africa. André Bationo (Ed.). Academy Science Publishers / Tropical Soil Biology and Fertility Institute of CIAT. Nairobi, 2004. 608 p.
An approach based on the linking of ”global” services generated by forests and the satisfaction of individual interests is a major challenge for forestry. In Ecuador, ”exchange” between traditional and so-called scientific knowledge has proven to be a successful factor for the set-up of the first, community-managed forest conservation reserve. Studies of the forest’s capacity to ”seize the fog” have demonstrated its positive impact on the region’s water status, putting into doubt the local ”utilitarian” view of forests. Local communities have gradually admitted that fog is not only a cause of illness and discomfort. In conjunction with the forest and science it may provide irrigation solutions for flatland farming. Local knowledge and traditional means of oral communication, as well as common law regulations concerning access to public property have been successfully put to use to manage these newly privatised watershed areas. Many development agencies and NGOs encourage and financially support small-scale coffee producers to join in cooperatives. In her study, the author certifies these cooperatives as generally having a stronger market position and a higher potential for innovation, and as strengthening both empowerment and social participation of their members. However, she also points out the dangers of lacking ownership, free riding, or cumbersome internal structures, which can develop due to the above-mentioned ”subsidising”. In the second part of her paper, the author concludes from a case study in Chiappas that successful cooperatives profit significantly from additional income through fair trade and organic production. However, she also states that in order to do so, a cooperative must have well-functioning internal structures. Organisational strengthening of cooperatives combined with additional income through fair trade can thus contribute to poverty alleviation in coffeegrowing areas of the South. In order to promote the realisation of this potential, the author demands further research into stories of success and failure of cooperatives. In order to counter global overproduction and price decline, however, we would have to completely rethink the international system of coffee trade. 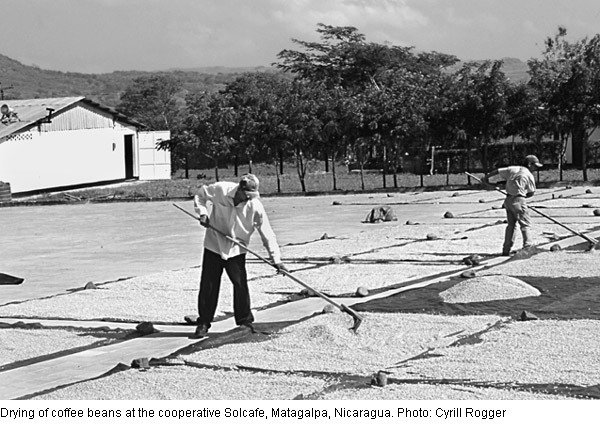 Source: Coffee, Co-operatives and Competition: The Impact of Fair Trade. Anna Milford. CMI Reports, R 2004: 6. Bergen, 2004. 83 p.